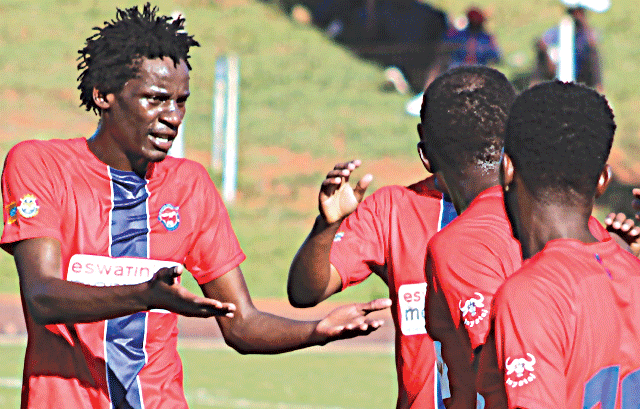 SOCCER – LOCAL CAF champions league envoys Mbabane Swallows have assured the nation they are ready to take part in this year’s interclub competition. The capital city giants are likely to take on South African giants Orlando Pirates during the playoff of the continent’s premier club competition but the draw is yet to be released. This is according to the draw conducted last Saturday at Rabat, Morocco which was later on cancelled (delay release) by CAF. Swallows Public Relations Officer (PRO) Jackson Dlamini said they were look forward to facing any opposition. “We are ready to face any team in the tournament and we cannot surrender nor make any excuses but instead we will face any opposition. We will do proper preparations for the competition even though we are still not 100 per cent sure about our opponents,” he said. Swallows will be aiming to do better in this year’s edition after reaching the group stages of the previous edition where they competed against the likes of Etoile Du Sahel, Primero De Agosto and Zesco United. Meanwhile, the 2019 African club qualifying draws were made this weekend in Morocco but not released due to a ‘special situation’, the Confederation of African Football (CAF) said Sunday. It is believed the ‘situation’ concerns Moroccan clubs in the CAF Confederation Cup, the second-tier competition below the more lucrative and prestigious CAF Champions League. Hassania Agadir, by finishing third in the league, and Throne (FA) Cup winners Renaissance Berkane or Wydad Fes have qualified for the 2019 Confederation Cup. But if Raja Casablanca win the two-leg 2018 Confederation Cup final against V Club of the Democratic Republic of Congo they will also be entitled to a place. CAF does not permit three clubs from one country in the competition and, ordinarily, Hassania would drop out to make way for Raja, according to the regulations. But the 2019 qualifiers involving Hassania and Berkane or Fes begin in November between the first and second legs of the 2018 final, leaving the organisers with a headache. A CAF statement said the matter would be referred to the emergency committee of the African body for a decision. This is the last year the Champions League and Confederation Cup will be staged from February to November as they switch to August-to-May seasons from next year.The transitional 2019 competitions begin on November 27 and end by June 1 next year.